When it comes to termites, there’s no risk to your health. Unfortunately the same cannot be said for your home or building. Termites are wood-destroying insects that, once they get your structure in their crosshairs, will infest and consume wood. If this type of activity is not stopped, the structural integrity of the dwelling or facility will be compromised. If this happens, you can almost be certain that your wallet will take a hit. Termite damage can be costly and leave you with expensive repair bills. 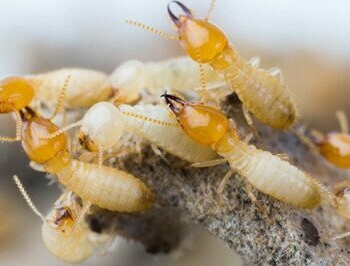 In our region, termites live in underground colonies and make their way between the nest and their food source (i.e. your home or business) in tunnels they’ve created. Because of this behavior, a termite infestation is not always noticeable, at least not at first. If you observe winged termites flying around your property, either inside or out, have noticed small mud tubes along the foundation, have discovered small holes in wood, it’s likely you have a termite problem. To know for sure, a professional termite inspection is needed. At Wil-Kil Pest Control, we have the experience and the latest termite-fighting technologies to protect your property. We offer the most advanced treatment methods for complete termite control and elimination. In the U.S., termites are responsible for over $5 billion in damages every year. Don’t let your structure be part of that statistic; contact Wil-Kil Pest Control today! Wil-Kil Pest Control offers termite control in Milwaukee, Madison and all of Wisconsin as well as Minnesota, Northern Illinois, Northeast Iowa and the UP of Michigan. 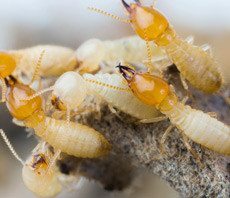 With Termite Awareness Week approaching March 13-19, 2016, it is important for Southeastern Wisconsin homeowners and businesses to stay vigilant and be aware of the possible signs of an infestation this spring. Known as the “silent destroyers,” termites cause an estimated $5 billion in property damage each year – that’s more damage to homes and businesses than all other natural disasters combined. Adding to the challenge, termite presence is difficult to detect as their activity is hidden behind wallboards, siding or wood trim. The National Pest Management Association (NPMA) and Wil-Kil Pest Control are celebrating the fifth annual Termite Awareness Week, March 13-19, 2016 to bring awareness to termite prevention, detection and treatment. Although termite treatment is most effective when performed by a licensed pest control professional, it is important that individuals know the signs of a termite infestation and become familiar with prevention methods to combat the invasive insects. Termites aren’t the only pests who have an appetite for wood! Carpenter ants, one of our biggest pest problems this summer, also love to tunnel in moist structures. Find out the difference between these two structure-threatening pests, along with some tips to prevent them, with Jay Newell, IPM Sales & Service Manager, as he visits NBC 15 in Madison.